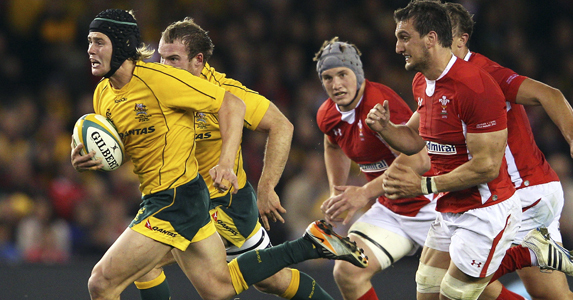 Catch me if you can: Berrick Barnes gives Sam Warburton the runaround in the summer Tests, will it happen again? AUSTRALIA COACH Robbie Deans will be asking for more of the same against a Welsh side they have defeated five times in the last 13 months. However for those thinking it will be a walkover, a note of caution. In those five games, the losing margin was just 20 points, at an average of four points a game. In other words, very fine margins and the Aussies know it. 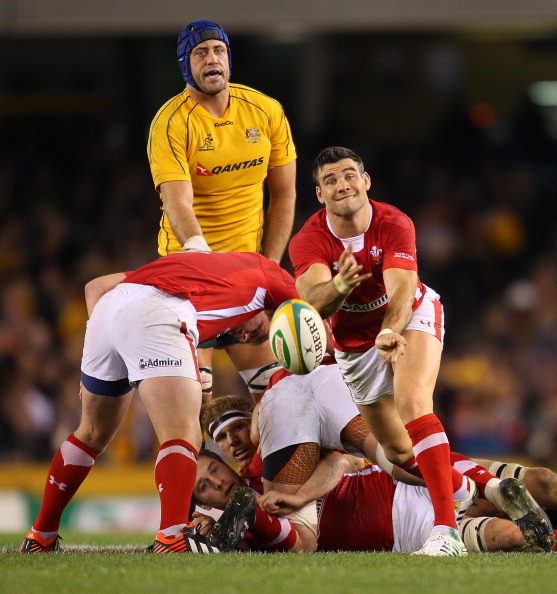 Wales go into the fixture in wretched form, with six losses on the bounce, but Australia have had a topsy-turvy year. One week they are smashed 33-6 by France and the next the defeat England with a spirited 20-14 win at Twickenham. You could argue that Wales have the slightly stronger motivation. They have to avoid the nightmare scenario of dropping down into the third tier of seeds for the Rugby World Cup draw on Monday. Only a month ago, Wales were less than a point from a top four position and talking up the possibility of sneaking into the top tier. For Lions coach Warren Gatland, now back at the helm with Wales, it will be particularly intriguing, as the Lions tour of Australia draws closer. The openside battle will be box-office, with the Lions tour just six months away. There are four world-class No 7s in the matchday 23. First up on the scorecard will be David Pocock and Sam Warburton who will be going to head to head at the breakdown. Pocock is just back from a knee injury that has kept him out for a few months so you’d expect Warburton to be more battle hardened, on the flipside, many will say Pocock is fresher. The Welsh openside showed last weekend against the All Blacks that he is getting back to his old self, putting in several big hits and crucial turnovers. You’d imagine both coaches would want to give their deputy No 7s a run, so expect Justin Tipuric and Michael Hooperto enter the fray in the second-half. Hooper has showed his massive potential as Pocock’s mini-me during his absence and Tipuric has been pushing Warburton exceptionally hard with his brilliant play in the loose for the Ospreys. Most other international sides will cast envious glances at the embarrassment of riches in both camps. Wales’ backline have struggled to unpick defences in the Autumn Series with only three tries, one of which came from an interception from Ashley Beck and another from an audacious 13-man line-out in which Scott Williams crashed over against New Zealand. Wales have named six of the backs they fielded during the Grand Slam campaign, with only George North missing and will hope much-missed Jonathan Davies can continue his intelligent running lines to feed the likes of Leigh Halfpenny and rapidly maturing Alex Cuthbert. They will also be hoping for a return to form of Rhys Priestland who has been suffering from a loss of confidence. 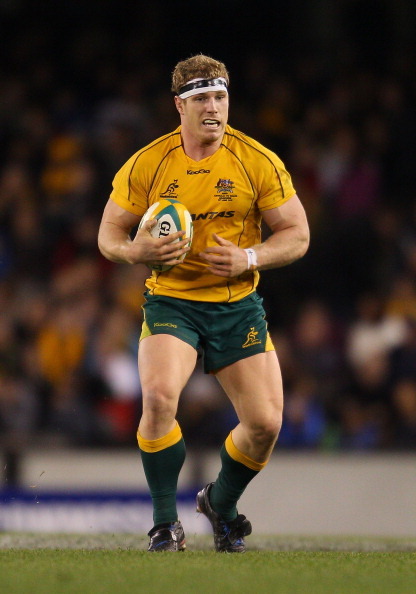 The Wallabies have lots of new names in their backline and Nick Cummins will surely looking for some another ‘piece of Test meat’ against England one of the autumn’s better performers. How the dual-playmakers Berrick Barnes and Kurtley Beale experiment continues to flourish will also go some way to deciding the fate of this Test. By this final game of the Autumn Series, there are eleven Welsh squad members unavailable to the coaches, nine of which are injured. Five of those nine have been felled in the brutal games against Samoa and New Zealand, with Bradley Davies, still out of action after Andrew Hore’s forearm smash last week. The final two, unavailable to Wales are James Hook (Perpignan) and Paul James (Bath) as the game falls outside the international window. Australia are only in slightly better shape, even though they are missing a gamut of stars in James Horwill, Will Genia, James O’Connor, and Quade Cooper for very different reasons. Deans admits it’s been one long season, they’ll be glad to finish. Prediction: I’m going for Wales to sneak it by three points, 20-17. Why? Because Wales have had a pitiful autumn and they’re a better side than results suggest. Australia will want to send Nathan Sharpe off with a win before he takes his place as one of the greatest locks of his generation, but I think he could be disappointed. Wales: Leigh Halfpenny; Alex Cuthbert, Jonathan Davies, Jamie Roberts, Liam Williams; Rhys Priestland, Mike Phillips; Gethin Jenkins, Matthew Rees, Scott Andrews, Ian Evans, Luke Charteris, Aaron Shingler, Sam Warburton (capt), Toby Faletau.